Patient Portal - Isabella Citizens for Health, Inc.
With NextGen Patient Portal, you can connect with your practice, Isabella Citizens for Health (ICH) through a convenient, safe, and secure environment using your home computer to perform a variety of tasks including appointment requests, medication renewal requests, and completing forms. The enrollment process allows you to sign up for a NextGen Patient Portal account, which provides access to your medical information. You can enroll yourself and create an account for using NextGen Patient Portal. You must enroll in NextGen Patient Portal using the link from ICH. 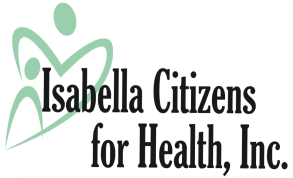 We have included the self-enrolling link on our website, www.isabellahealth.org. You can also enroll using the “Register Now” link on the NextGen patient portal website. You need a token from ICH to enroll using this method. Ask reception or contact us to obtain the enrollment token or link. A confirmation email is sent to you after you successfully complete enrollment. After you successfully enroll in NextGen Patient Portal, you can access your account using the link in the confirmation email. NextGen Patient Portal provides multi-language support. The website displays in English by default. You can change your preferred language before or after you log on. The user list on the top-right section displays the name of the logged-in user. The user list also displays a list of the persons or dependents whose accounts you manage. You can select the name of the person or dependent from the users list to view their records. The Home page displays when you have successfully completed the enrollment process. Use the tabs at the top of the page to navigate through the NextGen Patient Portal website. When ICH responds to an appointment request, secure messages, medication renewals, or uploads a document or template, a notification is sent to your NextGen Patient Portal email account. Use the commands under the “Settings” tab to update your personal information, manage user grants, practices ad statement notifications. Use the commands under the “Mail” tab to view sent and received messages and correspond with your practices. To display incoming messages, documents, forms, statements, etc. from ICH, select “Inbox.” New mail also displays on the “Home” tab. To view an item, select a “Type” (messages, documents, etc.) and then click the item to view it. Use the commands under the “Schedule” tab to manage and view appointments. Upcoming appointments also display on the “Home” tab. To submit an appointment request, select “Request Appointment,” complete the information, submit the request, and wait for a response. **Note: Submitting an appointment request does not guarantee an actual appointment with your provider. It must be confirmed by the practice before it is considered a booked appointment. When viewing pending appointments from your Inbox, a “Pending” appointment indicates that the practice is waiting for your response. You must accept the request to schedule the appointment. Use the commands under the “My Chart” tab to view clinical data or request a Personal Health Record (PHR) that contains your medical history at the practice. To request a PHR from your practice, select “Request Health Record,” and click “Submit.” When the heath record is sent to you, it displays as a new item in your Inbox. Open the PHR from your inbox to view it. You can view statements and make payments online. To view a statement, open it from your Inbox or from the “Payments” tab. To renew a medication, select “Renew Medications” from the “Renew Medications” tab, complete the requested information and click “Submit.” A response from your practice for your renewal is sent to your inbox. To log out of your NextGen Patient Portal account, click the “Logout” link at the top of the page. If NextGen Patient Portal does not detect any activity for more than 20 minutes, the system automatically logs you out.